My post today is all about mangos, Altaulfo or Champagne mangos to be exact. They are in season in Mexico from March to June so it’s the perfect time to stock up on this sweet fruit! They are a lot sweeter than the more conventional green or red mango and are yellow when ripe. They taste very sweet and are full of vitamin A, C and folate, vitamin E and potassium. So I will give you some of the recipes I’ve tried in order to use up my mangos and enjoy their refreshing sweetness in a variety of dishes! The first thing that I did with my mangos is to take half of them, chop them up into cubes and freeze them for smoothies. Blend all ingredients together and enjoy right away for a cold treat! 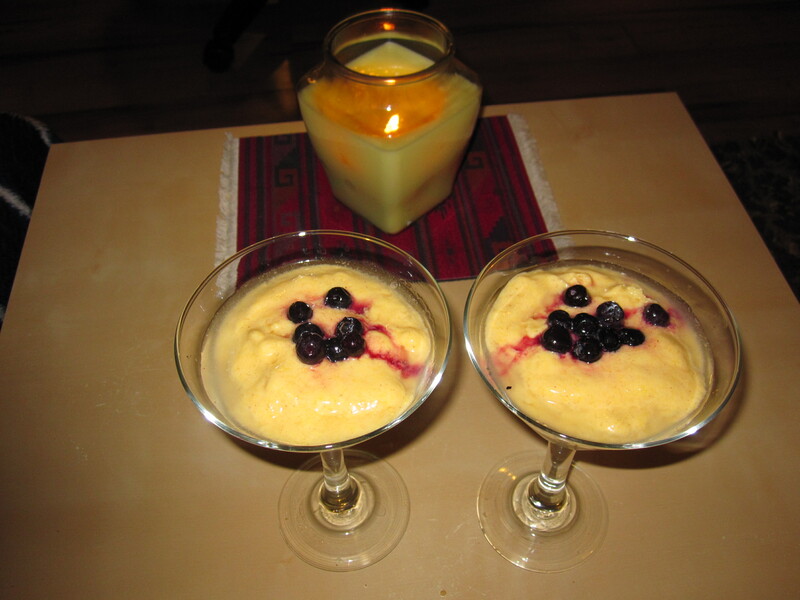 I love this recipe because it combines the healthy mango with the added health benefits of kefir, a more liquid version of yoghurt (which is a great source of probiotics to kill bad e-coli in your body) and some good-for you spice such as garam masala and tumeric. Of course, I had to find a way to incorporate mangos into a new salad, so here’s what I came up with. Chayotte Squash are a type of squash which tastes like a mix between a cucumber and a pear. It does not have a very distinct flavour, but is a great way to add and extra crunch to your salad! It is also a good source of vitamin C, folate and zinc. 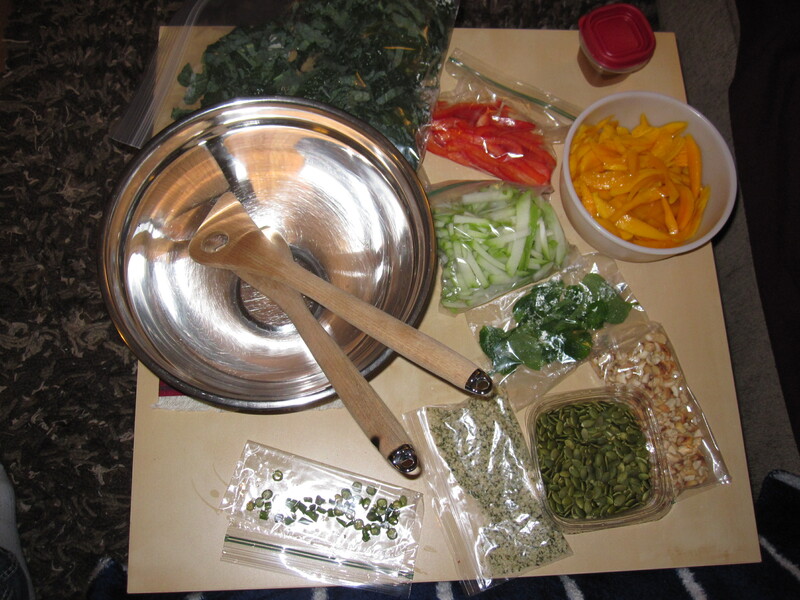 All vegetables (kale, red pepper, chili pepper) can be sliced in advance. 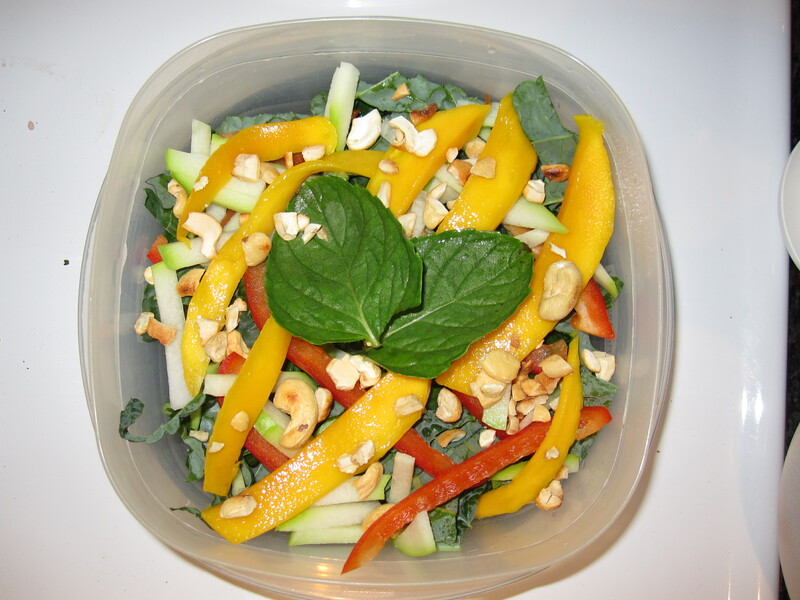 Before serving cut up altaulfo mango, mint and toss salad with dressing and cashews, pumpkin seeds and hemp seeds. I havce joined your feed and look forward to in quedt of more of your great post. Thank you for your e-mail! That’s so nice to hear. Thanks for visiting my site and if there’s anything you’d be interested in me blogging about please do let me know!